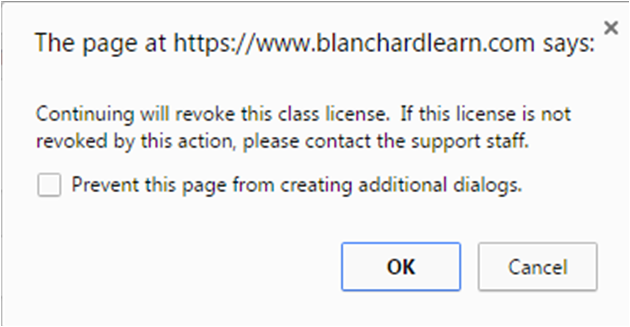 If you need to remove a user, removing them from the class will free up a seat in this class. This seat can then be used to add a brand-new user in place of the removed user. You can only revoke a user who has completed less than 5% of the content. You can run a report on completion rates by running a Group Report to confirm completion status. Note that revoking a user will only remove their access to the class/content - it will not delete them from your account. 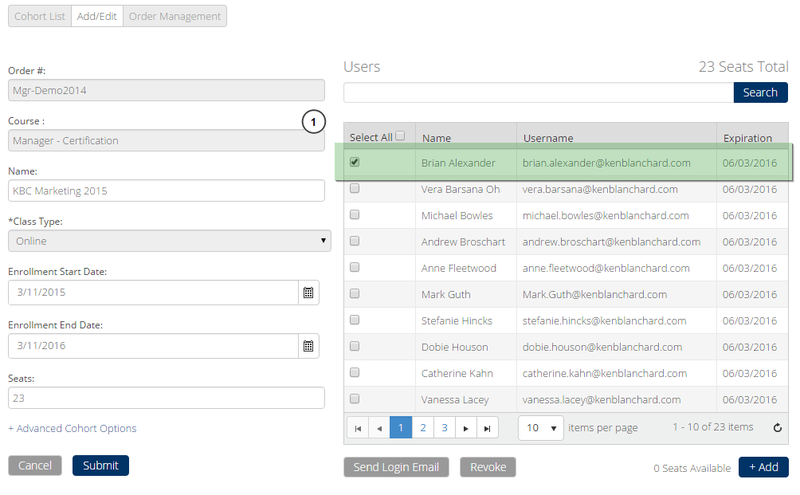 Go to Classes, locate the class with the user(s) and select the class name. On the right-hand side, select the check box of the user(s) you wish to remove (Figure 1). 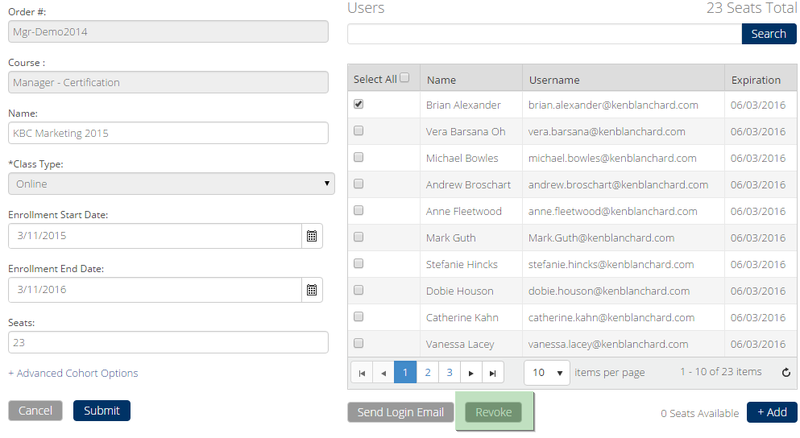 With the users selected, select the Revoke button (Figure 2). Revoking more than 5 users at once is not recommended. You will get a pop-up warning to confirm your action to revoke. Select OK and the user(s) will be removed from the class (Figure 3).